Are you a believer in Christ but are baffled as to why the devil seems to be more powerful in your life than GOD is at times? If yes, then this book is for you. 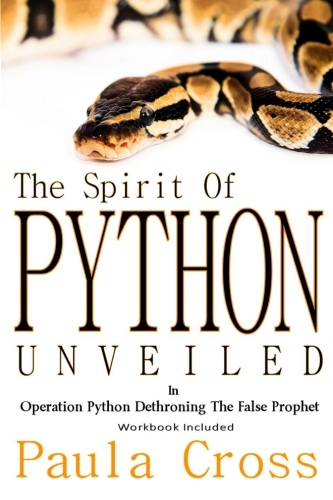 This title contains the two-decade journey of both the teachings by the Holy Spirit and Paula's coming out from under the dominion of the spirit of python. It's straight to the point and will hopefully help many believers overcome spiritual hindrances like never before! There's so much to learn when it comes to the spirit of python and while there are many wonderful resources available, primarily on the internet, this title takes things a few steps further in laying out the overall picture. 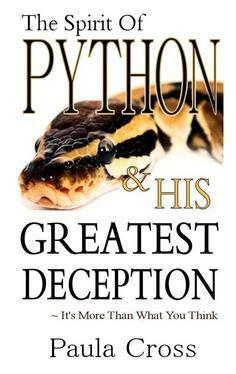 Because despite the fact that Python has infiltrated every aspect of the bride on numerous levels and we're learning what to look out for, the problem is many are STILL dominated by this spirit and no matter how hard they strive in the Lord, Python seems to have an upper hand. This seems to contradict the promises of the Bible - but it actually doesn't! The enemy is NOT supposed to have dominion over God's children according to the Bible, true. But until we understand the totality of God's message, we don't understand why His promises seem out of our reach, and worse, why the adversary does have so much influence in our lives. If you are here reading this, it's because you aren't just having a rough run-in with a snake... you've been going 'round and 'round in circles with them and it's time to get free. Paula knows what you are going through and her story is sure to be one you'll relate to. 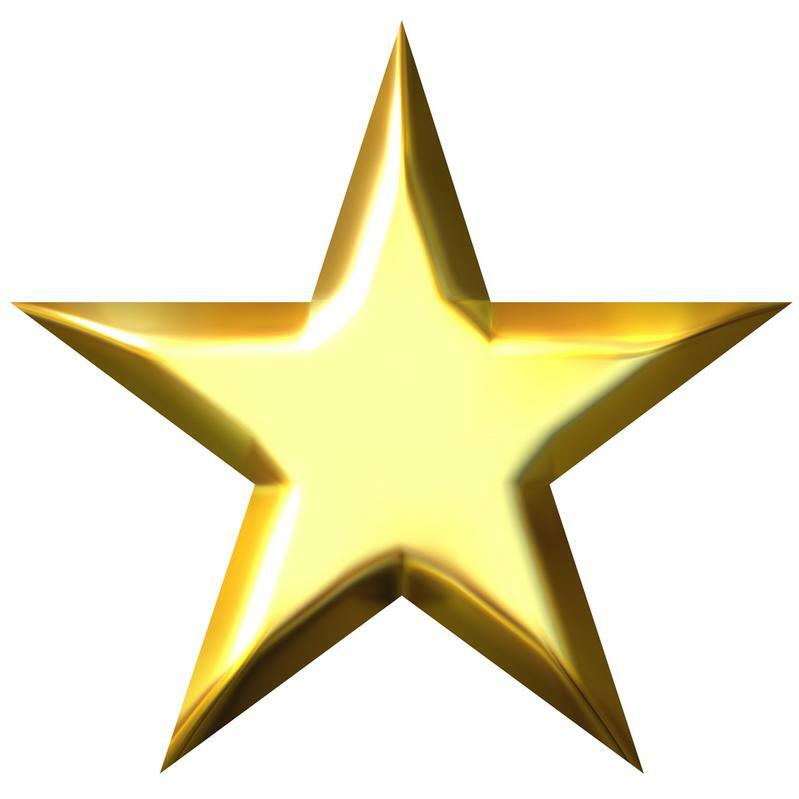 Many readers refer to points made in the book as "Aha!" moments - where spiritual truth or scriptural teachings finally came together and explained why things were happening in their lives as they were. Find out about Paula's dance with the devil! Come to understand that while God is with us and helps us, He won't bless us in our ÃÂ darkness but guides us out of it and into blessing. Learn why we call this particular enemy "python"
Includes Chapter Review Questions and a fantastic priorities evaluation!ÃÂ Would make an excellent Homegroup or Bible Study Text! Since the writing of this booklet, Donald J Trump has been elected as the next president of the United States of America. It appears the destruction that many Americans have feared has been diverted. But pride still precedes a fall; even the pride of this life which is the all-time blunder of America and her Church. If you've been wondering what the potential for national chaos to strike America is, herein lies the answer. Most of the contents of this short book are common knowledge for many but Paula Cross brings things together in a way that demonstrates why America isn't just possibly going to face great devastation, but certainly. Is America Mystery Babylon? 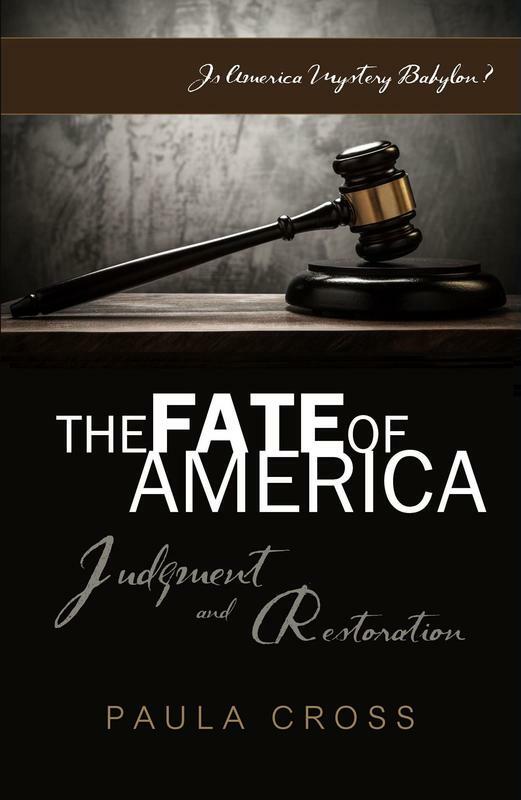 Just what does the Bible show us concerning judgment and how is it affiliated with the United States of America? Where is America heading - regardless of who is in the White House? What will it take to snap the Church out of the illusion that we can 'love the world' and still expect God's blessings, much less 'make America great again'? --- Our hope is not in change or a president that will bring American policies back in line with God's standards only. Our hope lies in a broken America that has a Commander in Chief who, in his own brokenness, will repent on behalf of his country and call the nation to repentance. There are many explanations, but who and what do we believe? Christians tried to tell Paula God was real and Who He was, but was she supposed to take their word for it? Then the day came when Paula saw God for herself and increasingly experienced many supernatural encounters with Him. This short book conveys how God spoke to the author, gave her visions, and even scolded her in moments of rebellion (lovingly, of course)! This title is filled with irrefutable, uncanny and profound situations that transpired between Paula and the God of the Universe. The author is transparent and very candid about her childlike moments of discovery. Her stories may be all too familiar to some and crazy to others. But they're real, either way. 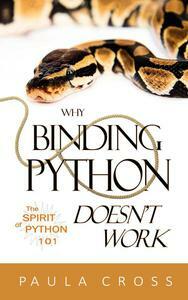 ​ Many believers are oppressed by the spirit of python and need answers that work. Up until now, all we've been told to do is bind python or cut off his head. Or we attend deliverance meeting after deliverance meeting only to remain in the same cycle of defeat. 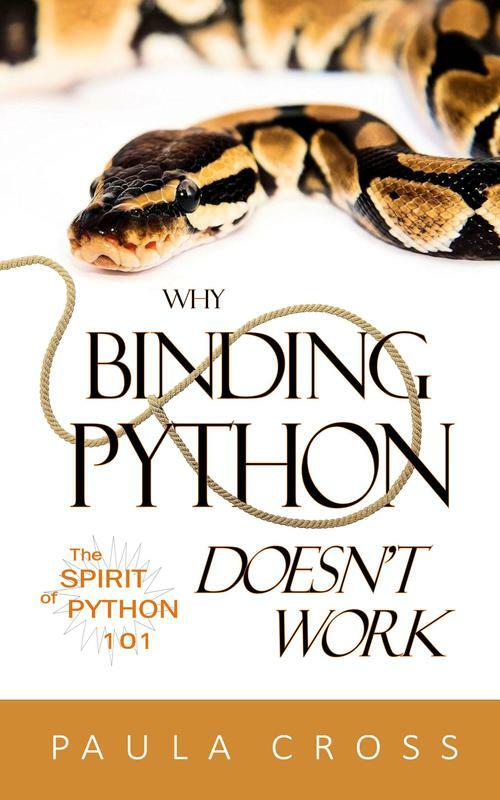 Paula Cross put this very brief book together to not only explain why binding python doesn't work, but she discloses the bottom line of what it truly takes to overcome. by January 31, 2017 to get this ebook absolutely free. Christians aren't battling the spirit of python only. Many are wondering why the power of Christ isn't effectively dealing with all of the powers of darkness. 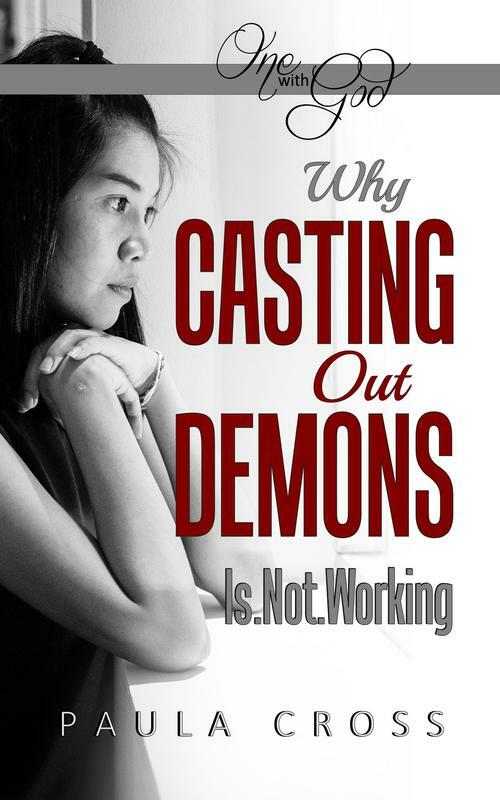 Many are asking just what it takes to walk in the power of Christ and why we aren't seeing more success at casting out demons. This book is an eye opener. It speaks to several aspects of truth that plainly convey why believers are more often defeated than victorious. It's not long and overwhelming yet it lays out power-packed scripturally substantiated truths that will absolutely help any believer who earnestly wants to come into the full stature of Christ. 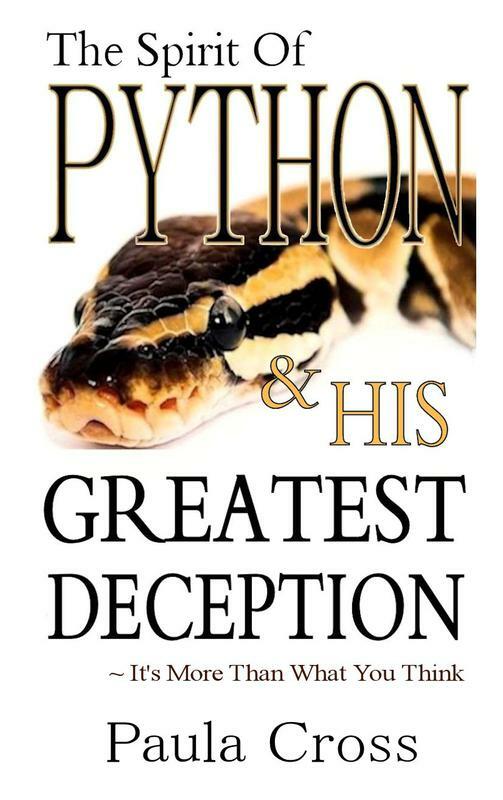 Please note that a couple of the chapters in this title are very similar to the above title, "WHY BINDING PYTHON DOESN'T WORK", since they are similar in nature. 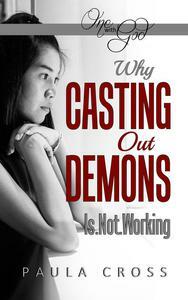 Both books address binding/loosing as well as casting out demons. This title, however, goes much deeper into why we fail to walk in victory and the authority of God. The binding python book goes more into explaining the gist of who the spirit of python is. Please keep this in mind if you read both books. GET ALL FIVE EBOOKS FOR $16.95! 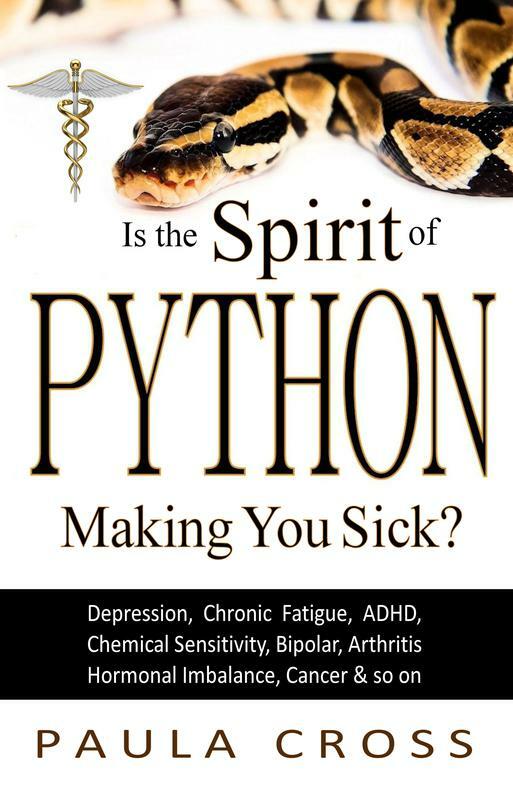 IS THE SPIRIT OF PYTHON MAKING YOU SICK? Are you tired, depleted and full of various symptoms that have you feeling incapable of living life as you should? 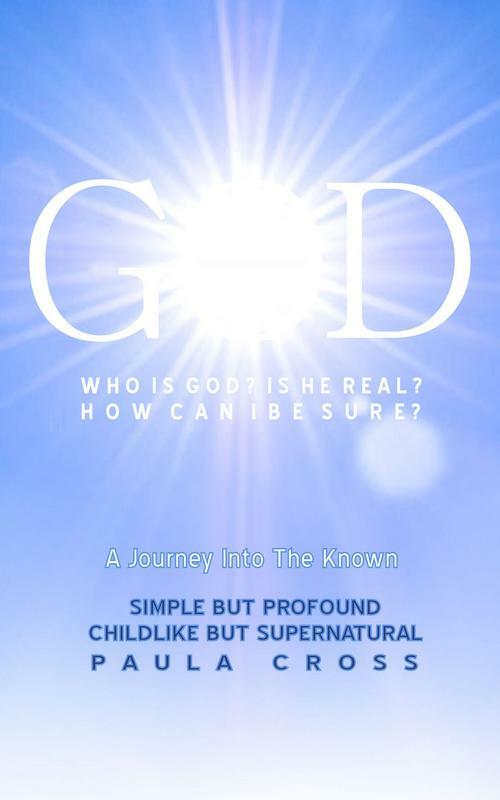 This short eBooklet was written exclusively for this website and, unlike all of Paula's other titles, cannot be purchased anywhere else on the internet or in bookstores. Most everyone that comes to this site has similar situations which include issues like chronic fatigue and struggling with depression most of their lives with no help from doctors or understanding as to what is wrong with them. After Paula Cross came out from the dominion of python, she spent the following four-five years coming to understand much more definitively the role python played in her health. Paula has communicated with many believers who struggle with the spirit of python and has found common denominators as to how python dominates. One of the parallels she has seen with more than 70% of those she spoke with is fatigue to the point of disability or pert near. This is precisely the road Paula personally traveled and this material provides insight as to what specifically went on throughout Paula's life healthwise and how God healed her. Paula explains this strategy and gives an abbreviated explanation of what can be done about it.